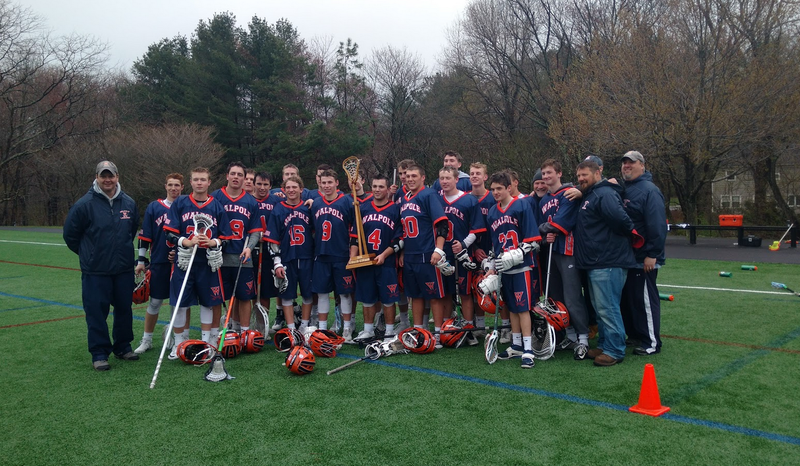 Walpole may no longer be undefeated, but don't sleep on the Rebels in Division 2 Central/East. 1. Lincoln-Sudbury (9-1; Last Ranking - 1): While they dropped an out-of-state contest to Summit (N.J.) for a second consecutive year, the Warriors reasserted their dominance in Mass. with a 15-3 drubbing of Longmeadow. 2. Duxbury (9-2; Last Ranking - 10): Quite a week for the Dragons, as they took down Seton Hall Prep (N.J.) and earned huge wins over Patriot League rival Hingham and Division 2 power Medfield. 3. Hingham (11-3; Last Ranking - 3): Harbormen wound up on the wrong side of a thriller against Duxbury, but bounced back with a huge 13-12 win at Glastonbury (C.T.) in overtime. 4. Wakefield (11-0; Last Ranking - 5): The lone undefeated team left in Divisions 1 or 2, Wakefield will almost assuredly enter the D2 North bracket as the top seed. 5. Needham (10-2; Last Ranking - 12): Rockets continue to roll over the competition in the Bay State Conference and could be a power for years to come with an excellent young core. 6. BC High (9-3; Last Ranking - 7): Eagles have weathered the storm with Will Bowen out due to a knee injury and could be even stronger if he returns to the lineup before the postseason. 7. Medfield (8-3; Last Ranking - 2): Losing two of three is uncharted territory for the three-time defending D2 state champs, but the Warriors will almost certainly right the ship before tourney time. 8. Newton North (11-1; Last Ranking - 8): Bryce and Hunter Adam were electric once again with 10 combined goals during a 12-8 win over Wellesley, as the Tigers remained undefeated in BSC play. 9. Dover-Sherborn (10-3; Last Ranking - 9): Now that Bailey Laidman and Jack Mahoney are both healthy, the Raiders possess one of the most lethal attacking duos in the state. 10. Cohasset (11-2; Last Ranking - 11): Skippers are rolling right now with eight straight wins and they’ll test their mettle against red-hot Duxbury on Tuesday night. 11. Walpole (11-1; Last Ranking - 4): The Rebels have won a number of close games this year, only dropping a 9-6 thriller to rival Needham in the rain last Tuesday. 12. Reading (9-3; Last Ranking - 6): Kevin and Mike Tobin are on fire for the Rockets, but they’ll need more balance if they want to make a deep run in the postseason this year. 13. Andover (11-2; Last Ranking - 13): The Golden Warriors left Reading disappointed after an 8-7 loss. They’ll look to take out their frustrations at upstart Chelmsford this Wednesday. 14. Franklin (11-2; Last Ranking - 17): Panthers have won five straight with a 62 to 7 goal differential over their last four. Rutgers-bound attack Eric Civetti is lighting up the Hockomock League. 15. Xaverian (6-6; Last Ranking - 16): Despite dealing with a laundry list of injuries, the Hawks are still competing in the very tough Catholic Conference. 16. Chelmsford (12-2; Last Ranking - NA): For the first time in program history, the Lions swept MVC power Billerica, as they edged the Indians, 11-10, in a thrilling tilt at UMass-Lowell last Saturday. 17. Falmouth (10-1; Last Ranking - 18): Clippers have won 10 in a row since dropping their opener at Franklin. 18. St. John’s (Shrewsbury) (10-2; Last Ranking - 17): Pioneers suffered a narrow loss to Grafton, but have rattled off four straight wins since. 19. Acton-Boxboro (10-2; Last Ranking - 24): Colonials scored a huge 9-8 win over Reading last Saturday. Now they’ll look to shock the state in a meeting with Lincoln-Sudbury this Tuesday. 20. Nipmuc Regional (9-0; Last Ranking - 25): The only other undefeated team in the state aside from Wakefield, the Warriors took down Groton-Dunstable last Saturday to add to their impressive resume. 21. Grafton (11-2; Last Ranking - NA): The Warriors are peaking once again with key wins over St. John’s (Shrewsbury) and Tantasqua over the last two weeks. 22. Wellesley (8-4; Last Ranking - NA): Raiders quickly bounced back from a loss to Newton North with a key win over Melrose. 23. Longmeadow (9-3; Last Ranking - 21): While the Lancers couldn’t compete against Lincoln-Sudbury, they continue to dominate the competition out west. 24. Minnechaug (11-2; Last Ranking - NA): The Falcons are playing a tough schedule, but have still managed to win plenty of close games this season. 25. Melrose (8-4; Last Ranking – NA): They couldn’t quite hang with Reading or Wellesley, but the Raiders took down Winchester in a key Middlesex League tilt on Monday. Up next is undefeated Wakefield.